In this blogpost I will show you how you can use Azure CDN to improve the performance of your WordPress site. I’m running WordPress for my blog and have a lot of static content. All my blog post, once written and published will not change and remain the same year after year. 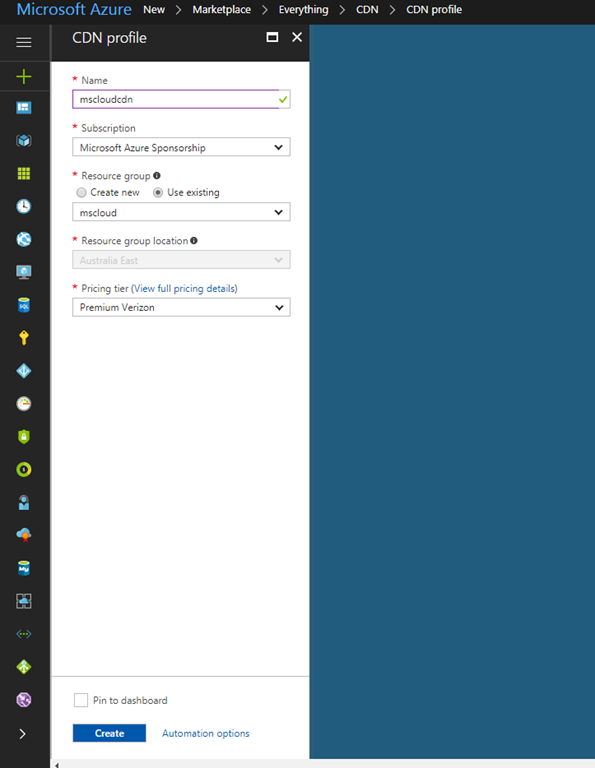 This is a lot of static content that could be cached on Azure CDN. The Azure Content Delivery Network (CDN) caches static web content at strategically placed locations to provide maximum throughput for delivering content to users. 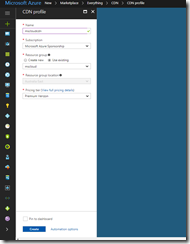 For a full list of Azure CDN POP locations have a look here. It really only takes a couple of minutes to deploy, it’s super easy and basically maintains itself once the configuration is done. 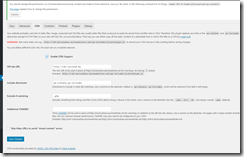 Install a WordPress plugin that supports Azure CDN like wp-super cache. Create CDN Endpoint: From the CDN profile, click “+Endpoint” to add an endpoint, choose the web site for Origin hostname, e.g. 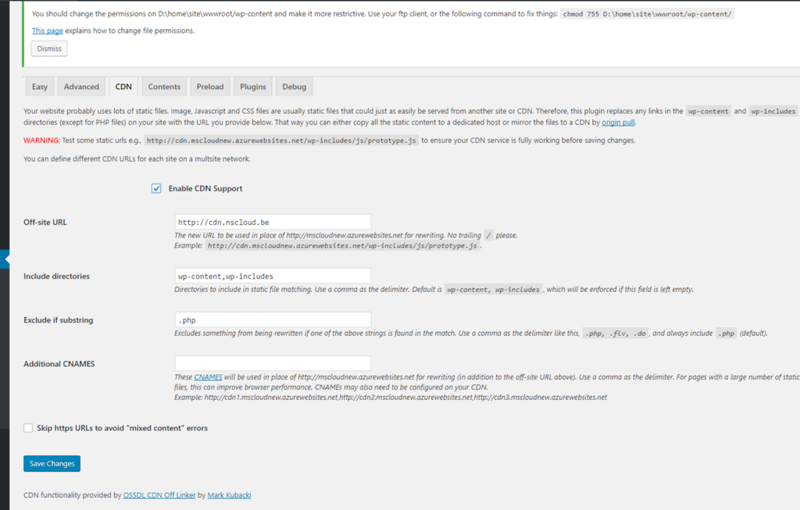 Edit from WP Super Cache “Settings”, select “CDN” tab, put the URL of Azure CDN endpoint in “Off site URL”, save the change. That’s it! 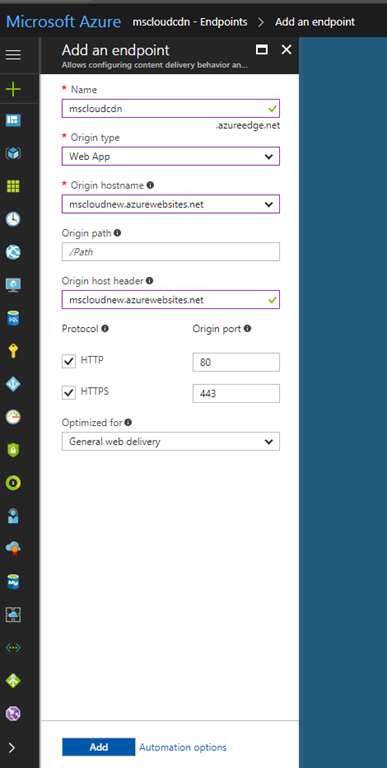 As you can see it is really easy and straight forward to use Azure CDN for your WordPress website!